THE Philippine men’s football team built up its confidence heading into an important tournament as it blanked Cambodia, 3-0, in their friendly on Friday night at the Rizal Memorial Stadium. In their last match before the Asean Football Federation Suzuki Cup, the Azkals leaned on two-goal lead in the first half to score the shutout. 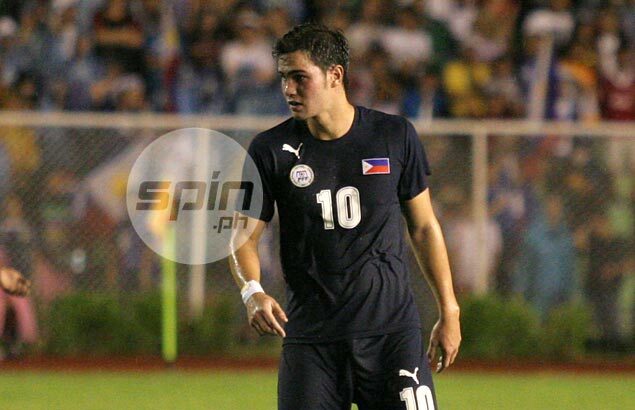 Phil Younghusband delivered as usual, but it was Daisuke Sato and Manny Ott who set the tone for the one-sided result. "I was happy with the game overall, but I am concerned about our defense," Azkals coach Thomas Dooley said. "We'll talk about what we need to change, so the players can adjust." Sato put the Azkals on the scoreboard 13 minutes into the match when the Filipino-Japanese left-back fired a rocket from more than 30 yards out that grazed Cambodian goalkeeper Sou Yati before going in, sending the partisan crowd into frenzy. Manny Ott doubled the lead five minutes before first-half stoppage time when the Filipino-German midfielder scored off a Phil Younghusband miss for his first international goal as a senior. Younghusband found the back of the net in the second half, sneaking in a goal a minute past stoppage time. However, the Cambodians, definitely a much better side than the one the Azkals outclassed, 8-0, last year, had the Filipino holding their breaths numerous times after breaking through their final third, only to lack quality in their finishing, best typified by a shot that hit the goalpost late in the match. Azkals skipper Rob Gier started but played just 30 minutes as he was subbed as precautionary measure after suffering a minor injury. Filipino-Spanish goalkeeper Tomas Trigo made his debut, replacing starter Patrick Deyto three minutes before second-half injury time.